Bushiri and Mboro forgive each other and now working together. Bushiri and Mboro forgive each other & now working together. 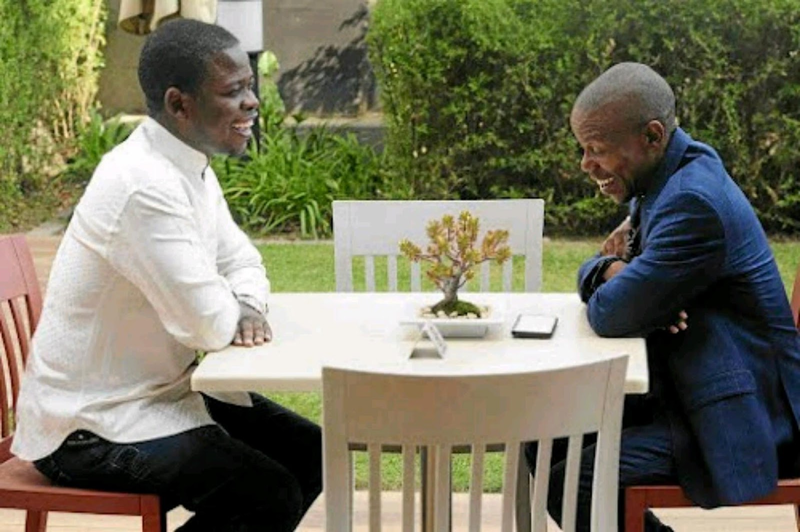 Prophet Shepherd Bushiri, left, and Prophet Paseka "Mboro" Motsoeneng met in Midrand yesterday to iron out their differences and turn over a new leaf. South African's prominent men of the cloth - Prophet Shepherd Bushiri and Prophet Paseka "Mboro" Motsoeneng - are now drinking from the same pool of Siloam. The two charismatic church heavyweights have for five years been publicly crucifying each other and often skewered each other in their sermons. Sunday World can today reveal that the two Bible punchers have buried their hatchets, and promised to work together. Bushiri confirmed that he has extended an olive branch to Mboro and was looking forward to working with him. "I feel it's a great achievement and honour to the body of Christ. It is the way things must always be. Men of God must reconcile and serve God in unity. We serve the same God. "It [the relationship] will be that of mutual understanding and love as God taught us love."